Epicentre.tv is an online media platform that offers the end-to-end solution for content owners to develop their events from conceptual stage to implementation and the ability to continue to generate ongoing revenue. We work with content owners to increase exposure of their events while connecting sponsors and advertisers to world-class content and engaged viewers. Epicentre.tv provides free consultation to our prospective clients where we discuss how we can assist in developing their events to maximize the global exposure the Epicentre.tv platform can deliver. Epicentre.tv works closely with the largest media outlets in the world in which we deliver regular content to. Our global database allows us to actively engage our subscribers and drive traffic for each event. We assist in brokering commercial partnerships, developing new concepts, as well as generating revenue through all aspects of the broadcast. Epicentre.tv has strong media relationships with the biggest National and International TV networks around the world and regularly negotiate broadcast deals for our clients. Our production teams have over 20 years of experience working on the biggest sports, music and entertainment broadcasts - earning the reputation as the leading sports and music production house in Australia. Epicentre.tv has broadcast over 2000 live streams from over 60 countries around the world. Unlike any other streaming service in the world, Epicentre.tv produces TV quality broadcasts with both Audio and Visual in crisp High Definition. Epicentre.tv offer a range of post production services including TV show production, DVD creation, Highlight packages to distribute to networks around the world or for social media and sponsor/ advertiser branding integration and other platforms. Unique to live streaming is its quantifiable nature. As such, Epicentre.tv provides clients with an in depth review of their audience after each event to give clients a complete analysis of their audience and provide sponsors with important data. In 2012, Epicentre.tv entered into an ongoing partnership with UFC, the number one MMA organization in the world. The UFC acknowledged Epicentre.tv position as the number one live streaming platform in the world for combat sports and host all of their live UFC fight Pass events on our platform, as well as their massive library of archived events including the catalogues from PRIDE FC, INVICTA, WEC, Strikeforce and many more. Make sure you head to UFC’s home page to check out all of their upcoming events as well as the opportunity to view a huge range of free content! Epicentre.tv was in charge of the end to end production, live streaming and TV rights negotiations. 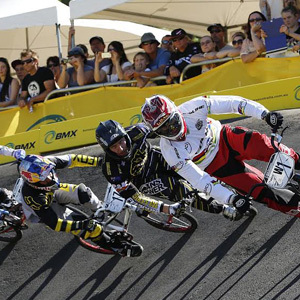 The event saw BMX Australia take a step closer to establishing themselves as the next main stream sport in Australia. The broadcast featured 4 x HD cameras, slo mo replays, graphics, extreme slomo packages, feature stories and post race interviews. Over the three days of live production the stream attracted over 145,000 viewers from 35 different countries – reaching die hard fans in the U.S., New Zealand and others as far as Columbia, Norway and Azerbaijan! Epicentre.tv partnered with the worlds most prestigious combat sports brand to become their first ever live streaming partner with Thai Airways the official streaming partner. Epicentre.tv was in charge of all live streaming production, rights negotiations, sponsorship acquisition and implementation. We hosted the broadcast on the Epicentre.tv platform, as well as embedding our customised PPV player onto the K-1 website and other leading kickboxing news websites to maximise the exposure for each event. 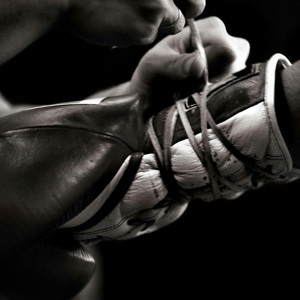 The broadcast, both live and On Demand, reached over 1,000,000 views across the two events which featured living legend Buakaw Banchamek and a host of other world class fighters. 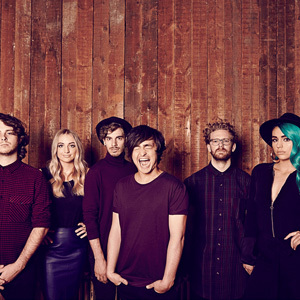 Off the back of their 7 Aria nominations, Epicentre.tv live streamed Sheppard’s final Australian show before their U.S. and European tours. Epicentre Music worked alongside Chugg Entertainment and Mushroom Records, and provided an 8 camera production which was broadcast live around the world via Epicentre.tv and viewed in over 40 countries around the world. The broadcast assisted in promoting the bands enthralling live set – with the group currently mid way through a whirlwind world tour.